Lack of cash has led virtually every state in the nation to explore innovative finance techniques that allow important improvement projects to move forward while keeping taxes and fees low. In 2004, the City of Chicago rocked the transportation infrastructure world by leasing the Chicago Skyway to private investors for 99 years and putting $1.83 billion in the bank. The city took that money, paid off its Skyway debt, relieved numerous burdens in the city budget, contributed to other non-transportation programs, and created a reserve fund. This deal was simultaneously hailed as a stroke of genius and decried as a treasonous selling of American infrastructure to foreigners. Several months later, Indiana leased its toll road to foreign investors for $3.8 billion, almost twice as much as analysts expected, allowing the State to fully fund its long-range transportation plan. People noticed. Was this the long sought silver bullet of the innovative finance world? Many think so, and numerous states have been seriously considering heading down the path of long-term concessions, either through leases of existing assets or through development of new green field projects. But these concessions are tremendously controversial. The Indiana concession barely survived stiff opposition from the state legislature. Texas, which has been energetically pursuing Comprehensive Development Agreements to fund new toll highways, has seen the legislature push a moratorium on new concession agreements. Other states, just in the last few months, have gone from exuberance to cautious optimism. How are public sector decision-makers to know whether they are advancing the public interest when they consider these agreements? The confusion and controversy surrounding long-term concession agreements has come about because they have been promoted as silver bullets, as essentially free money provided by the private sector that will not require new taxes or fees. But users of the facilities will have to pay, and how users pay will be very different from how they have paid in the past. These new models may in fact prove to be more equitable and efficient than the old methods, but the negative reaction in some quarters to the initial agreements highlights the need for careful analysis and transparency going forward. Tolls, Not Taxes. Tolls have historically been used to fund individual projects or groups of projects that were too expensive to be paid for from taxes. 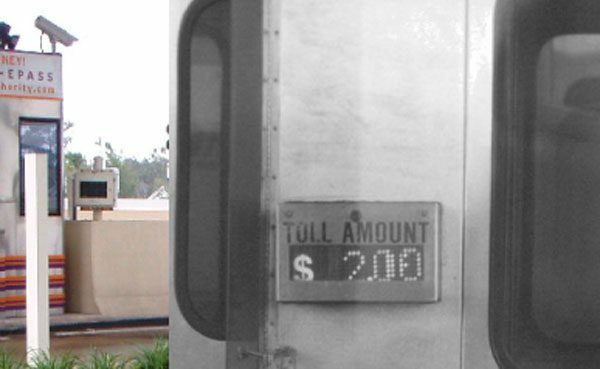 Traditional toll facilities financed by municipal bonds and governed by public or quasi-public agencies typically aimed to keep tolls at the minimum necessary to retire the bonds and fund needed reserves. One of the main advantages cited of switching to the concession model is the ability to raise tolls to track or exceed inflation and to keep tolls on for a long time, since the public sector has been unwilling or unable to do this. While it is true that these high toll levels a century from now will be no higher than their value today on an inflation-adjusted basis, the public policy decision to extend and escalate tolls in this way has been rolled into the decision to lease the highway to the private sector. These are two separate decisions, each deserving analysis and debate. Private Equity versus Private Debt. The private sector has long been involved in the finance of transportation facilities, through the purchase of municipal bonds. The concession model allows private entities to take an equity stake in a project, which significantly changes their interest in the outcome of the project. Under the municipal bond model, the private sector has one concern – full and timely payment of bonds, starting the day the debt is incurred. Under the private equity model, the private sector hopes that revenue will exceed forecasts and yield returns greater than expected. This transforms the operator of the toll road from an entity tasked with providing a public good, albeit at a price, to one that wants to maximize profit. Because the United States highway system has most recently been a public enterprise, people instinctively reject the idea of someone profiting from a toll road. Although the public sector can allay some of this criticism by limiting excessive profits by concessionaires through contract provisions and building in profit-sharing arrangements, this will have the effect of reducing the potential value of the concession and lowering any upfront payments by the concessionaires. Private Sector Cost Savings. Another impetus for the concession approach is the belief that the private sector can deliver services at less cost than the public sector. There are as many arguments in favor of this thesis as there are against it. The public sector has responded to criticisms of its inefficiency by creating in-house enterprises that are better able to manage costs (such as Florida’s Turnpike Enterprise), and by outsourcing some or all of its operations without equity participation. Simple design-build contracts also are a way that the public sector has attempted to control costs without use of the concession model. The point is that the concession model can bring with it many cost saving features, but that does not mean that public agencies do not have other means of achieving some or all of the benefits. The concession model has grown from the reality that our transportation system needs far more money than is available from traditional sources. There are no silver bullets in public finance and there are no easy answers to this fundamental dilemma. The concession approach to project financing has many advantages over traditional methods and as many concerns with these nontraditional techniques. At this point, very few people have a complete picture of the short- and long-term implications of different approaches and elected officials are bombarded with ideologically laden lobbying from both sides. Many of the concerns with long-term concessions identified in this report are legacies from past agreements that have been rectified as both the public and private sectors have learned and adapted. Some potential alternatives to private concessions have not yet been adequately explored because they raise still more difficult political issues that are generally avoided by elected officials. What is needed is dispassionate, objective analysis that allows decision-makers to clearly see the advantages and disadvantages of all viable approaches to solving the crisis of paying for transportation. As the transportation industry and elected officials gain more experience with concessions, it is possible that the firestorm of emotion will subside, and well thought-out solutions that gain public acceptance will emerge. Already, we are seeing states such as Florida and New Jersey taking a much more methodical approach than their predecessors. Ultimately, each state or region will need to determine for itself the proper balance between competing objectives when it comes to delivering an effective transportation system.